As Executive Vice President of Ackerman Retail, a division of Ackerman & Co., Courtney directs the leasing of the firm’s retail properties and its third-party property assignments, assisting in the expansion of the retail platform throughout the Southeast. Courtney brings more than 20 years of commercial real estate experience and has completed more than 400 real estate transactions in excess of $170 million. Within the first two years of joining the firm, she grew its third-party retail portfolio to 2.8 million square feet. Courtney provides clients expertise across a broad range of retail property types in all phases of the development cycle, from inception to completion, including space design, proforma analysis, market evaluation and deal negotiations. She has a successful track record of identifying synergistic national, regional and local operators to maximize leasing at Ackerman Retail and third-party properties. Prior to joining Ackerman, she was Vice President of Leasing at Moonbeam Capital Investments, a vertically integrated private equity group with properties located throughout the country. At Moonbeam, Courtney oversaw a 3.5-million-square-foot portfolio of shopping centers, enclosed malls and offices. 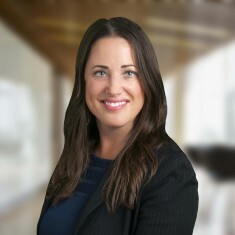 Prior to Moonbeam, Courtney was Director of Real Estate at Penn Hodge Properties, where she was responsible for development, leasing and property management of its real estate portfolio.